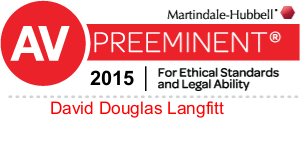 David Langfitt has practiced complex commercial litigation for more than twenty-six years and specializes in litigation and trials involving numerous parties, claims, and courts, both state and federal. He has litigated a wide variety of complex cases involving mass tort claims, the federal securities laws, professional liability, merger agreements, pre-packaged bankruptcy plans, fraud, breach of fiduciary duty, and infringement of patents and copyrights. Mr. Langfitt is on the Court-appointed Plaintiffs’ Executive Committee in the NFL Concussion Litigation. He is among the leaders of that ongoing litigation in which the Locks Law Firm represents more than 1,300 former players against the NFL for latent and existing brain injury. He has also been lead counsel in the Artelon Spacer Litigation, a medical device mass tort in the Philadelphia Court of Common Pleas. Mr. Langfitt is a leading lawyer in individual brain injury cases against the NCAA, including the case of Steven Schmitz vs. NCAA in which there have been multiple appellate decisions in favor of the plaintiff found here. This has been covered extensively in the news media. Schmidt's case will go forward in the common pleas in Cleveland Ohio, based on these decisions. Mr. Langfitt also represents many former NCAA football players whose cases involving brain injury may soon be filed. 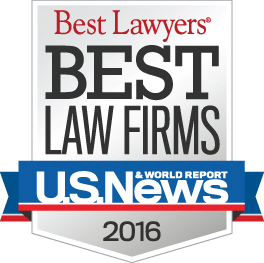 At the same time, he serves on an ongoing basis as nationwide patent litigation counsel to Q.I. Press Controls, an international technology company based in Holland. He has represented QI in multiple cases in courts throughout the United States that have involved patent infringement disputes and disputes that arose out of patent re-examinations within the U.S. Patent and Trademark office. Representative opinions can be found at Quad/Tech v. QI Press Controls, et al., 701 F. Supp. 2d 644 (E.D. Pa. 2010), aff’d, 2011 U.S. App. LEXIS 5729 (Fed. Cir. 2011) and QI Press Controls v. Lee, 752 F.3d 1371 (Fed. Cir. 2014). Recovered approximately $360,000,000 for the benefit of defrauded investors, which is approximately ninety-three percent of the investors’ principal. Filed and litigated multiple complaints against banks and others for aiding and abetting and conspiring with the Ponzi Scheme. Investigated and pursued off-shore assets in Caribbean and South Pacific nations. Operated Receivership as business entity that successfully marshaled assets, conducted litigation, distributed recovered assets, and regularly communicated through a public website with more than one thousand defrauded investors regarding claims, distribution, and litigation process. 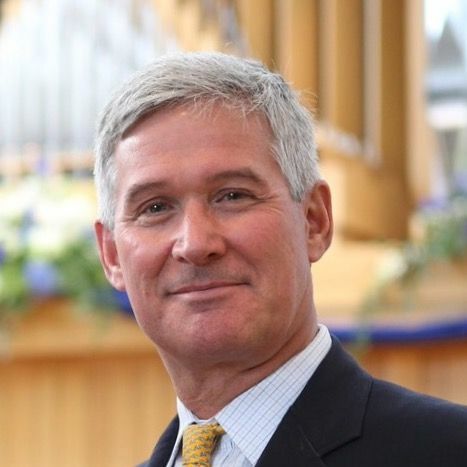 Mr. Langfitt also has extensive experience litigating in the bankruptcy courts and has represented creditors in In Re: Bondex (U.S. District Court, District of Delaware), In Re: Combustion Engineering (U.S. District Court, District of Delaware), and In Re: Nutraquest (U.S. District Court, District of New Jersey). Mr. Langfitt also served as lead litigation counsel to Celotex Corporation in (a) 551 wrongful death and personal injury cases brought in connection with 2003 fire at The Station nightclub in West Warwick, Rhode Island; (b) personal injury cases brought in connection with manufacturing plants in multiple states; (c) in negotiations with USEPA regarding environmental regulations, control equipment, and clean air act issues; and (d) contract litigation over the sale of manufacturing plants nationwide. While an associate at Montgomery McCracken, Mr. Langfitt was Habeas Corpus counsel to a former death row inmate and succeeded in overturning the petitioner’s conviction for first degree murder in Smith v. Horn, 120 F.3d 400 (3d Cir. 1997). Mr. Langfitt is married with three children. Prior to becoming a lawyer, he was professional painter living and working in New York City. Some of his work is owned by the School of American Ballet, The United States Federal Courts, The University of Pennsylvania, and The College of Physicians of Philadelphia. He is also the author of the novel Winnabow, available on Amazon.